Brain Pop - 21centuryed Tech: Digital Teacher... Welcome To The Future! movies, quizzes, games, informational texts, activity pages, and much more covering hundreds of topics within Math, Science, Social Studies, English, Technology, Arts & Music, and Health. All content is aligned to and searchable by Common Core and state standards. BrainPOP is delivered entirely online. You can use our resources with PCs, Macs, projectors, or interactive whiteboards. Our movies and quizzes are also accessible on mobile apps available for iOS, Android, Chrome, and Windows 8. 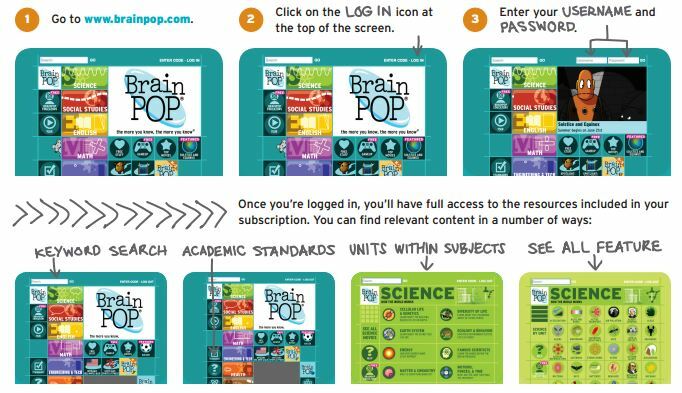 Getting started is easy, but if youhave any questions, check out our HELP (www.brainpop.com/help) section! Brain Pop requires you to use a district log in and password which you can get from your school media or computer specialist. Please you the below link to enter the site ... or stay on this page to learn more. 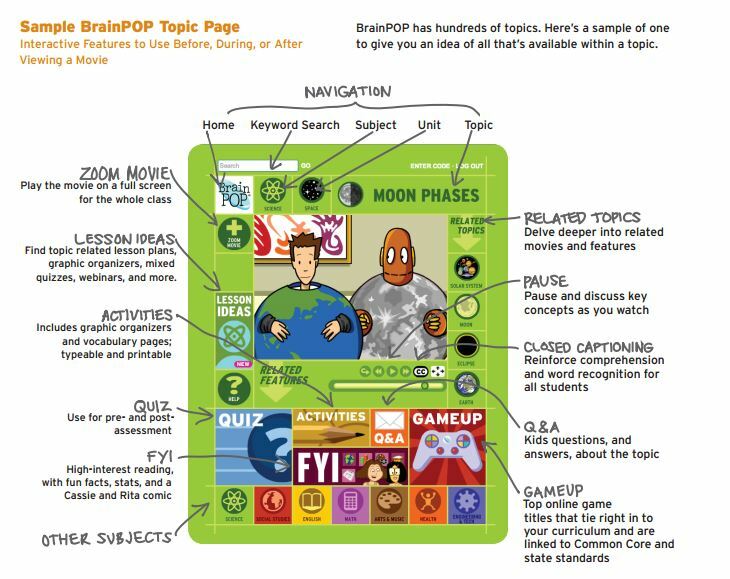 You may also wish to explore the Brain Pop for Educators Page filled with some great ideas. Also check out the Brain Pop Games and Music. You may also want to take the Brain Pop Tour!